Detective Bill Brewer (left) was killed, and Lt. Nick DeRose was wounded, Saturday night in Pierce Township. The sheriff's office says the 23-year-old suspect first called 911 Saturday evening, saying someone was in his apartment at 360 St. Andrews Drive. He later told the dispatcher he was armed and suicidal. Within two hours of the first call, two officers were shot. A release says Detective Bill Brewer died from his injuries at Anderson Mercy Hospital. He was a 20-year veteran, and leaves behind his wife and their 5-year-old son. "Deputy Brewer gave his life attempting to help a person who was admittedly suicidal," Clermont County Sheriff Steve Leahy said in a press release. "This will forever change the atmosphere of the Clermont County Sheriff's Office." Brewer's is the second law enforcement death in Clermont County in the last week and the third in the area this year. The other two were in traffic crashes. The other deputy wounded Saturday, Lt. Nick DeRose, was treated for his injuries and released from the University of Cincinnati Medical Center. Wade Winn, 23, was taken into custody early Sunday morning. 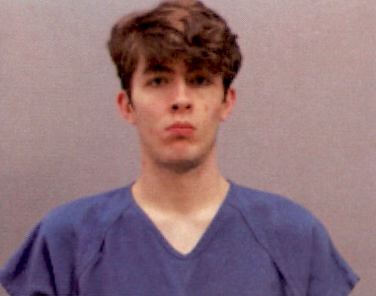 The 23-year-old suspect, Wade Edward Winn, was taken into custody early Sunday morning after the apartment building where the standoff happened caught fire. A suspect was taken into custody at 6:35 a.m. Sunday, ending an intense 12-hour standoff that resulted in the shooting death of one Clermont County deputy and the wounding of another at The Green at Royal Oak Apartments.